There are several really good new stories this week. UK carbon emissions fell by 9.7% in 2014. Coal use fell by 23%. These really are very impressive figures, especially given relatively strong growth in the UK economy, and a rising population. Energy use across all sectors of the economy seems to be falling, as I discussed in a blog in December. Renewable energy is expanding and this year for the first time generated more UK electricity than nuclear power, at 19.2 % compared to 19.0% for nuclear. 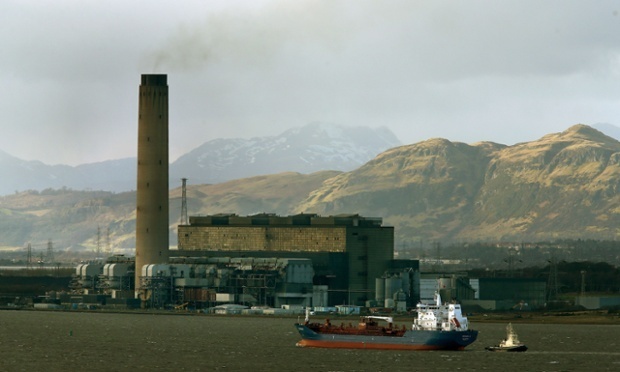 It has been announced that Longannet on the Firth of Forth is to close by March 2016. It is one of the dirtiest coal plants in Europe and figured in WWF’s ‘dirty 30 list’, the top priority plants to close in order to clean-up Europe’s energy supply. This marks a major milestone in the UK shift to a less polluting energy economy. Another exciting announcement is the signing of a deal between UK and Norway to invest £1.5bn in an interconnector linking the UK and Norwegian electricity grids. The 1,400 MW interconnector will mean that a greater share of renewables becomes a practical option for the UK as we will essentially be able to use the massive Kvilldal pumped storage hydro systems in Norway like a giant battery to level out the inevitable fluctuations in supply associated with a mainly renewables based energy system. As we look ahead to continuing falling emissions many more investment decisions will need to be made. The Swansea Bay Tidal Lagoon is not yet a done deal, but it will be one of defining new technologies that UK government should give its backing to. Perhaps slightly further off will be decisions about the TuNur project to build a massive 2.25GW solar power tower plant in Tunisia and put in interconnectors linking it to the European grid, and so supplying electricity into the UK market. Each investment decision puts in another piece of the jigsaw and an evolving pattern emerges as to what a clean energy future looks like, for UK and for the World. Bring it on! This entry was posted in Business Investment, Climate Change, Energy, Environmental on 28 March 2015 by Richard.